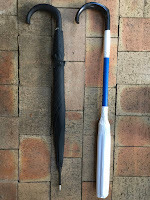 I just want to give a HUGE ENDORSEMENT to Thomas Kurtz and his wonder SELF DEFENCE UMBRELLAS. Floro Fighting Systems has been using Mr Kurz Umbrellas for more than a decade. It's a top quality tool with a great warranty and impeccable customer service. Mr Kurz sent me some "Sparring" umbrellas to test out. They are HIGHLY RECOMMENDED!!!! 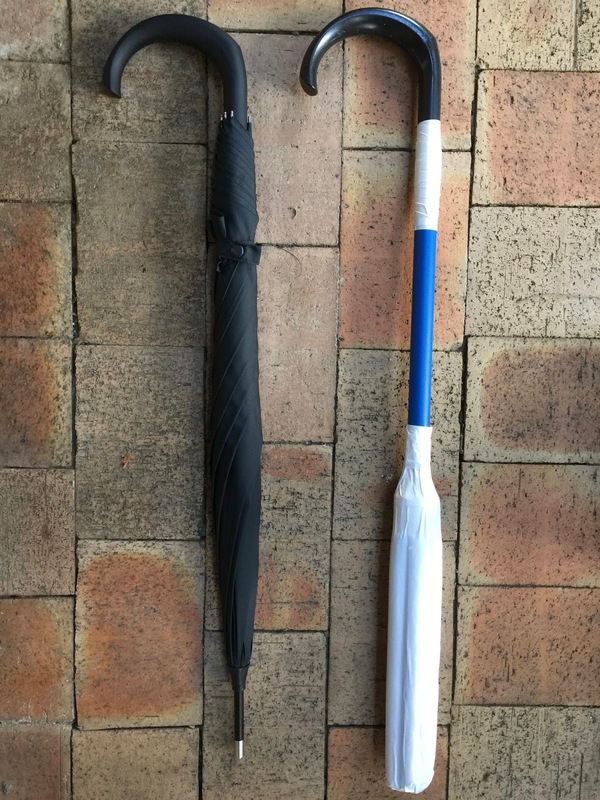 The figure at left, is how the umbrella is delivered. We found that having the full shaft was still to dangerous for our purposes. It hits too hard, and the point can penetrate the foam padding. To make this "safer"; modification had to be made. 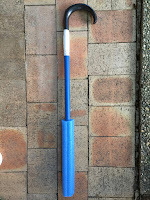 I cut the shaft so only about 12 inches protrudes from the hook handle. I then wrapped white gaff tape at the tip and base of the stem. 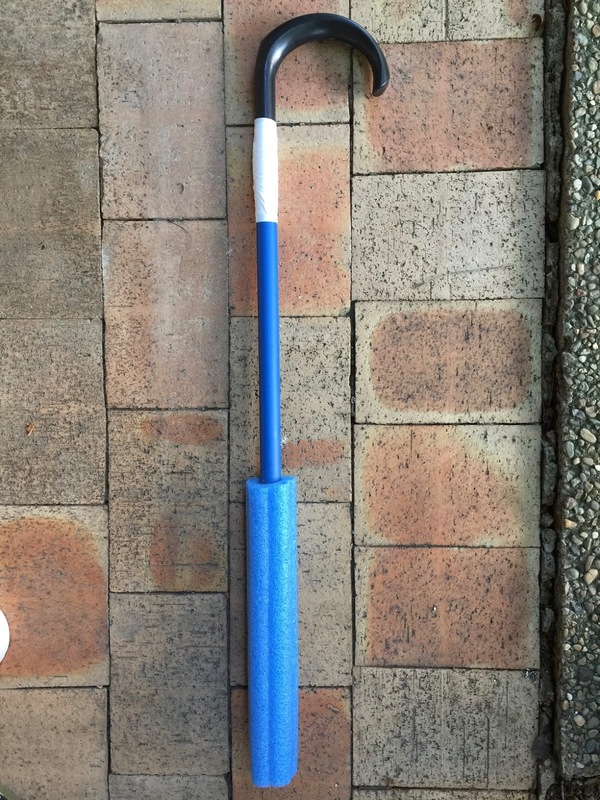 This will ensure a snug fit when inserted into the blue "hydraulic" pipe. This pipe is the best for it's purpose. It's stronger than PVC. Takes impact and will not crack. The pipe is cut at 27 inches. 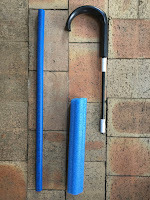 The hydraulic pipe is then gaff taped onto the umbrella handle. 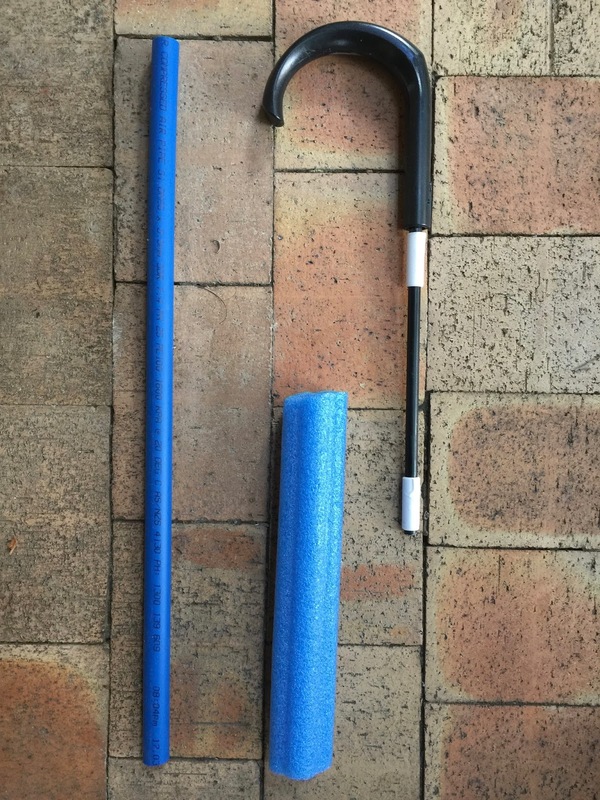 The foam is attached to the end. Ensure that the pipe is not inserted flush to the tip. Leave a gap and fill than gap with foam. The whole thing is then covered with gaff tape. It is important to "pat" down the gaff tape to the foam. Do not bind the body of the foam tightly. Donate to Support Ray & FFS!